If there is one constant in this industry, it’s change, and we are on the cusp of the next change. Sigma envisions the next wave of digital services – a world of living digital services – emerging in the next three years, offering tremendous growth opportunities for service providers. Living digital services are different than what we see now – dynamic, highly sophisticated and able to constantly learn and evolve. They will have the ability to transform and improve the way we live, by offering personalized services that bring us enjoyment, pleasure, and greater efficiency. If dealing with today’s demands on new digital service introduction wasn’t difficult enough, the next wave will further challenge the boundaries of today’s monolithic, static and hard-coded systems. A new approach is needed. A recent whitepaper by Appledore Research entitled “Catalogs, Services-Based Architectures, and Re-Use: The Low-Risk Path to Agility” discusses how today’s architectures face challenges in implementing the next wave of living digital services. To overcome these challenges, Appledore Research argues that operators need architectures that embrace agility to connect and sell new digital services alongside legacy services, without having to manually intervene in the process. The Appledore whitepaper examines these four additional components of agility in detail, discusses best practices for implementation, and suggests an architecture that can be applied across business models and access technologies to enable catalog-driven, collaborative digital services using NFV and SDN. 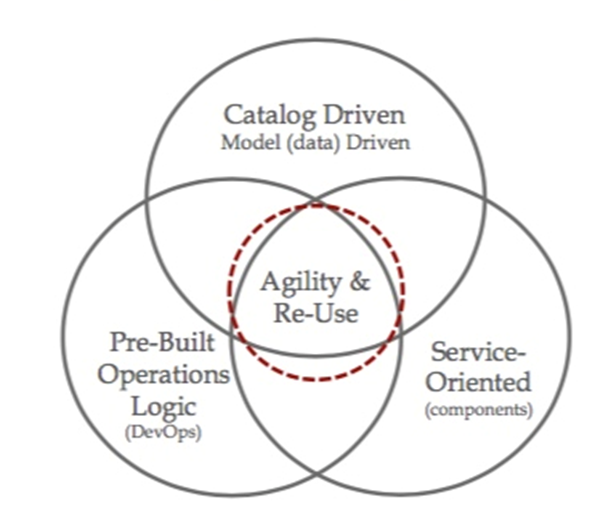 If you are an operator interested in doing product innovation differently and learning how to be more agile in deploying digital services, it’s an interesting read. Sigma sponsored the development of this Appledore Research Whitepaper and has made it available for free to the service provider community. Our sponsorship of this paper has been carried out in the same spirit and purpose as our active support for initiatives such as the TM Forum’s Open API and Open Digital Architecture- namely; Sigma wants to create dialogue and the conditions where service provider architectures are more open and interoperable to suit their future needs. If you are interested in reading the whitepaper, it is available for download from the resource library on our website.